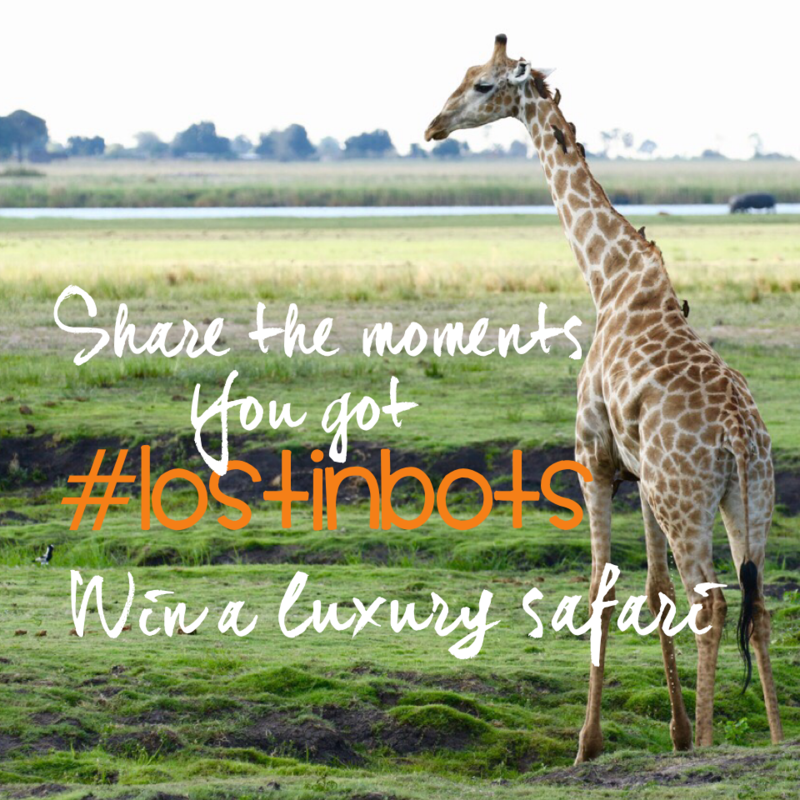 We’ve got safaris to give away to Tour Operators who promote travel to Botswana when they share the moments they were #LostInBots on twitter, instagram, facebook. (Direct upload also available on the competition website). Just use the hashtag & copy in @lostinbots. Safari One (Prize Drawn 30 June 2016) Includes Ngoma Safari Lodge, Ghoha Hills, Machaba Camp, Royal Tree Lodge & Nxamaseri Island Lodge. Safari Two (Prize Drawn 15 August 2016) Includes Chobe Chilwero, Selinda, Okuti, Thamalakane, Camp Kalahari & Planet Baobab. Safari Three (Public Prize – Drawn 31 October 2016) Includes two seats on &Beyond’s 8 Night Classic Explorer Safari with 2 nights each in Chobe, Savute, Khwai & the Okavango Delta valued at over USD$10,000. 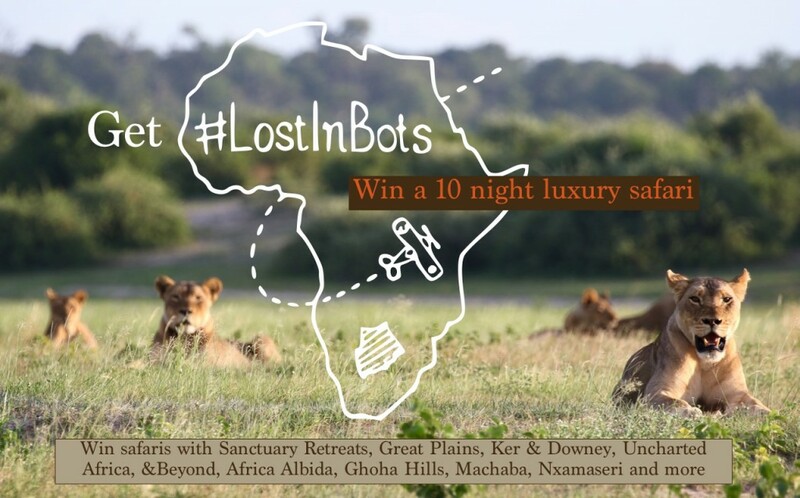 Visit: iconosquare.com/contests/lostinbots for full details.